Be honest. Have you ever tried to read the whole Bible? Did you do it? All Christians have moments where our thoughts and intentions are high concerning the Bible. Maybe around New Years we think of reading the Bible every day in the upcoming year, and maybe even reading it all the way through. Genesis starts out pretty well, but if we make it out of Exodus, Leviticus will kill our reading plan for sure. Maybe you realize you need to study the Bible more deeply, but you don’t know where to start so you don’t. Maybe you do start but find it’s difficult so you do something else. Spring comes with longer days and warmer weather, and maybe you find you have much less time for the Bible. 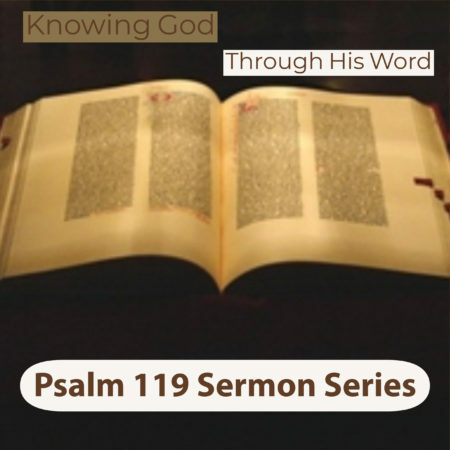 The fourth stanza of Psalm 119 focuses on the internal struggles of the writer in his devotion to God’s word.